When Howard McBeth’s wife passed away suddenly and unexpectedly in 2018, he was overwhelmed with grief and looking for ways to convey it. Painting was his first choice of expression, but he held writing close to his heart and began seeking answers from God. Words flooded his mind, flowing in rhythm, ballads, and short stanzas that put his grief into words, into questions. What is beyond our sight after death claims the one we love? No one knows. We have only our faith that tomorrow will bring another day of mud and rain, sunshine and rainbows. Howard McBeth lives in Cedar Hill, Texas. 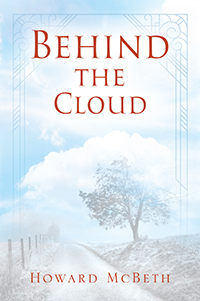 Behind The Cloud is his debut poetry collection, which he hopes will offer comfort to those suffering from loss and grief.